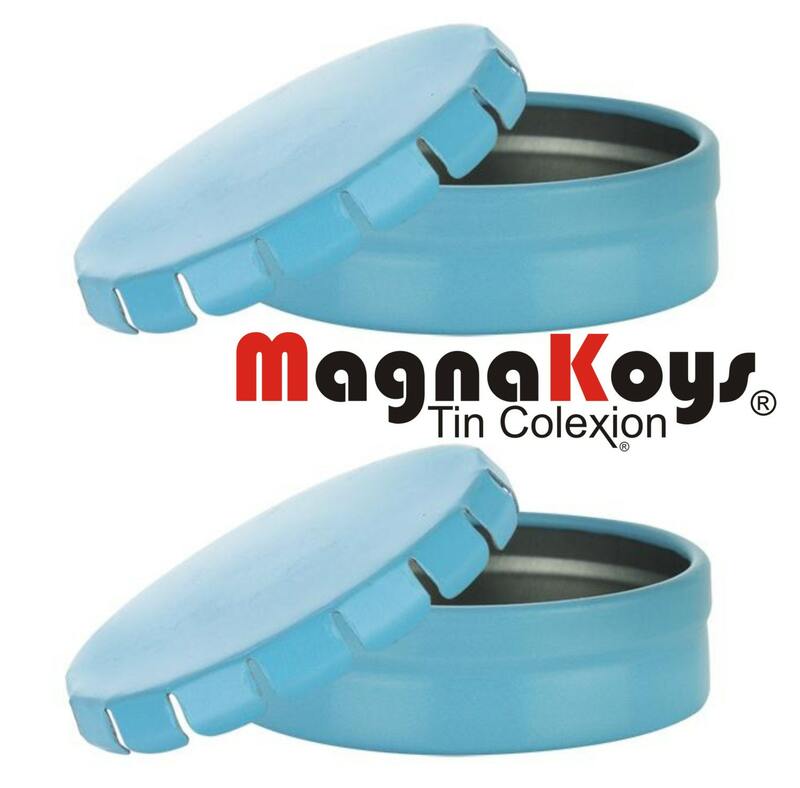 These light blue tin plate steel Pop Top style top tins are a great item for different uses and awesome gifts. Our Pop Top tins could be used for a variety of applications from candle and cosmetic to candies and mints, tobacco containers and ashtrays. 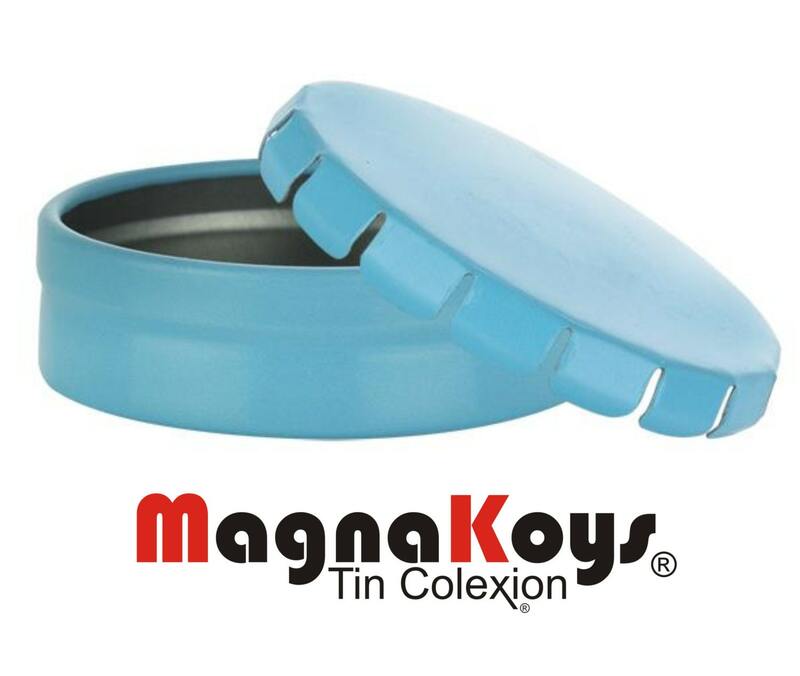 Very simple to use: just press down top of tin and remove cover, to close tin: just place top on tin and press sides and it locks, after a few tries everyone becomes a Pro Pop Top tin user. Great conversation item.